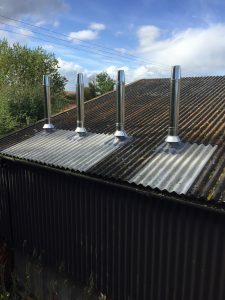 Our Installer, Steve’s HETAS Certifications were due for Renewal so he has recently retaken his H006 System chimney Course and this week, his H005DE Biomass Appliance Direct Entry Course. 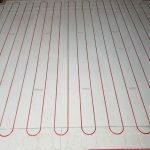 It’s important to use a HETAS registered installer to fit all Solid Fuel, Wood & Biomass appliances. 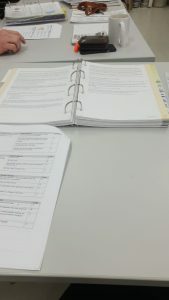 He has taken his courses at the HETAS approved centre Robinson’s UK in Bishops Frome. 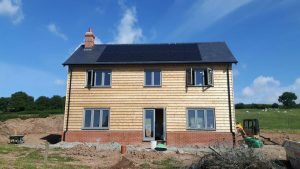 We’ve had a very busy few months here at Efficient Energy Centre, we’ve been working on several New Build properties alongside Border Oak, installing Plumbing and Heating Systems including Underfloor Heating & Air Source Heat Pumps. 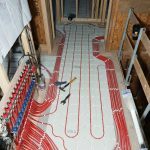 We have a new Electrician and a new plumbing installer joining us shortly too. 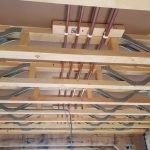 We like to use Copper for our installations, the old ways are sometimes the best ways, here are some pictures of some recent copper and underfloor work on a New build property. 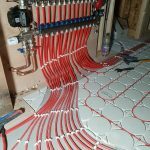 Our installers take great pride in the quality of their work. 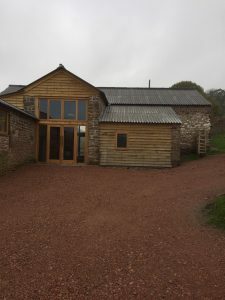 Llwyn Celyn – The £4million Restoration. 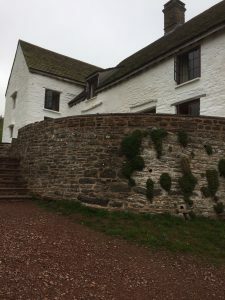 We have recently had the pleasure of working on a Historic restoration project with the Landmark Trust, a Medieval hall house in the black mountains. 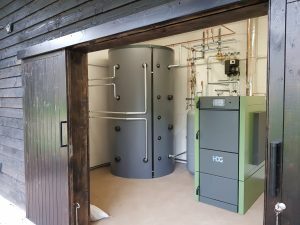 We have installed a 60 kW Windhager Biowin Excel Pellet Boiler to provide Heating & hot water to the Farmhouse and Threshing Barn. The project has been a huge success and the restoration carried out by I J Preece is beautiful. A programme has been made about the restoration by Channel 4 and first aired on More4 on Wednesday 16th January and is available to watch on All4, the second instalment will be on More4 on Wednesday 23rd at 9pm. 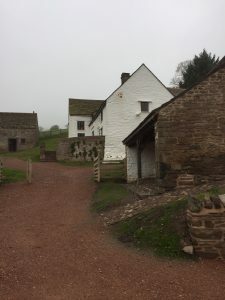 Find out more on the Landmark Trust’s website, link below. 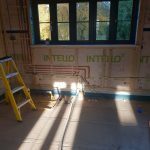 Our blog has been a little quiet lately with Sophie on maternity leave but we’re doing quite well for potential future installers with 3 new babies on the firm in the last 12 months! 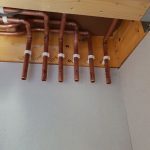 Whilst the blog might have been a bit quiet, our installers certainly haven’t! 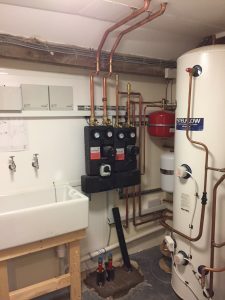 Some of our men have been busy this last week installing a 45 kW Log Boiler, the HDG F Series at a farm house renovation project. The boiler has the HDG touch controller which can be web enables so that the boiler and back up oil boiler can be controller remotely. 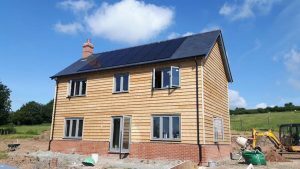 The customer will then be eligible for the Domestic Renewable Heat Incentive. Efficient Energy Centre invite you to our Open Day at our Harrow Road Showroom just off Plough Lane, Hereford. We have up to 25% OFF our Wood Burning and Multifuel Stove ranges and other special offers to be announced on the day! 10am – 3 pm on Saturday 11th November. Come and speak to our experts on Renewable Energy and find out how we can help you to save money on your energy bills. 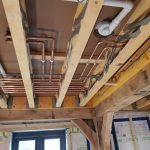 If you are building a house, renovating your existing property or building an extension then we can advise you on your heating, plumbing and electrical systems from concept to commissioning. 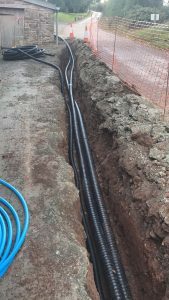 For any services relating to Heating, Plumbing, Electrical and Renewable Energy you needn’t go anywhere else, we offer it all. We hope to see you on the day! 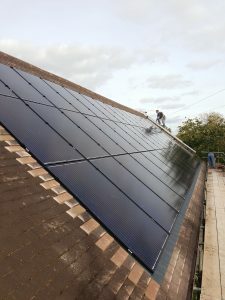 A rather smart 12.6 kW array of 45 solar panels being in stalled in roof this week in Herefordshire. 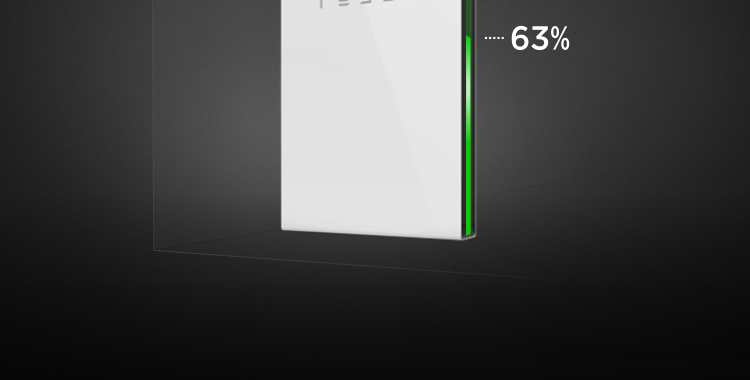 45 x 280 w JA Solar Panels, fully Solar Edge optimized with 3 x Solar Edge HD Wave inverter connected to 2 x Tesla Powerwall 2 Batteries. 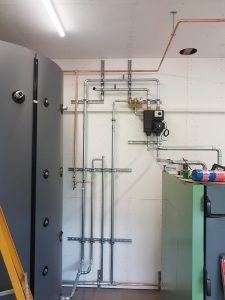 The system will generate over 11806 kW’s of electric a year which will make a huge dent in this properties electricity bill (they have a swimming pool, and we all know they aren’t cheap to run). As of December the Batteries can also be charged using night rate electricity for use during peak times which will only further the customers savings going forwards. 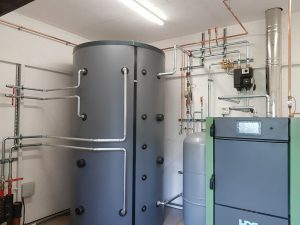 Local Biomass installation ready for commissioning on Monday to beat the RHI cuts! 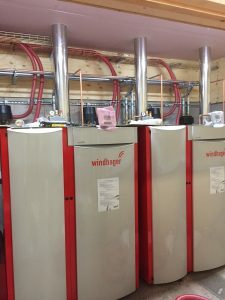 We have installed 4 x Windhager Biowin XL 60 kW automatic feed pellet boilers at Lyde Court in Hereford, to heat their main house, dormitories and wedding venue. 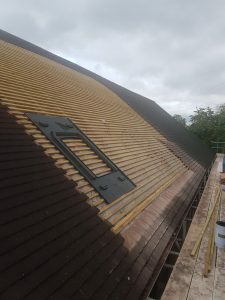 We had a surprise announcement just after we started the project that the RHI tariff’s were being reduced sooner than expected and we didn’t want our customers to loose out on the higher tariff so all engineers were sent to site to get the project complete in time. 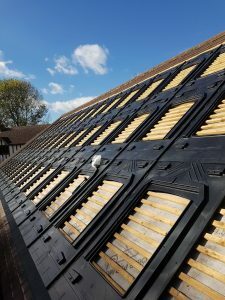 With a new tariff applicable from the 20th September we are ready to commission on Monday 18th and paused ready to submit the RHI application! 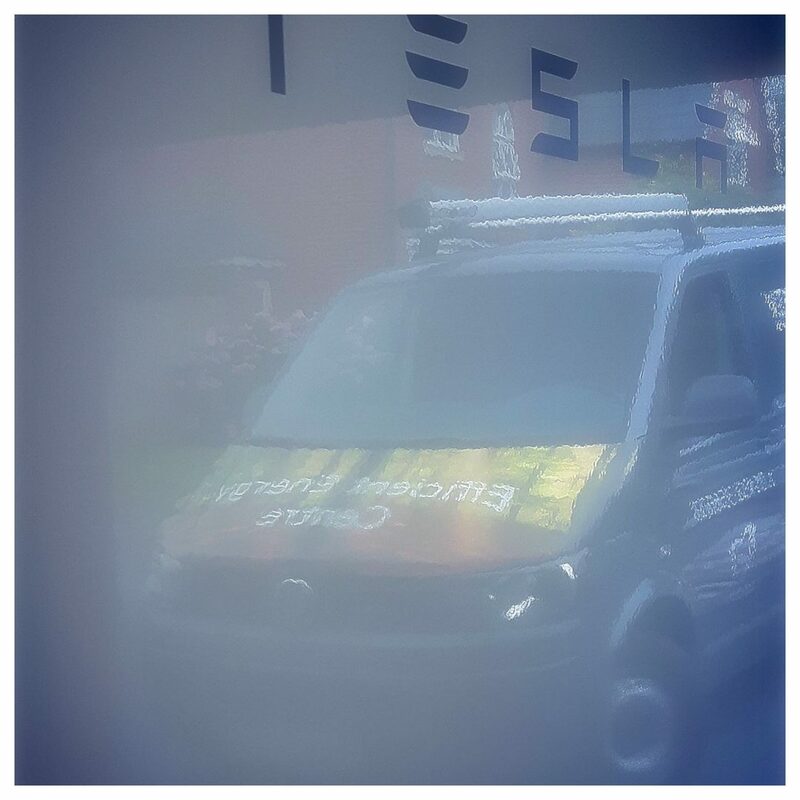 A reflection of one of our vans in our latest Tesla Powerwall 2 installation, nicely captured by one of our installers! 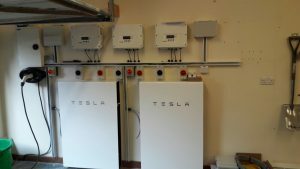 We are sat in the office monitoring our Solar PV and Tesla Battery back at home. 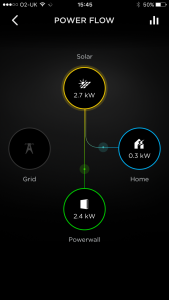 Today isn’t a bad day for solar generation, our system is averaging 2.7 kW, 300watts of which is supporting the houses standing load and the rest is charging our Tesla battery. This evening when everyone is home, the lights, the TV, the oven and the dishwasher all go on we still wont be having to pay for any electricity from the grid, our battery will discharge so that we can use the solar generation from today. 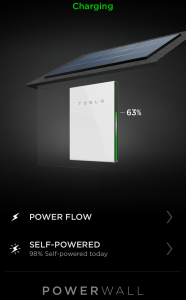 98% of our day has been self powered! 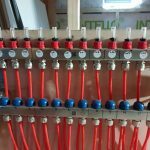 In Roof Solar pv pack. 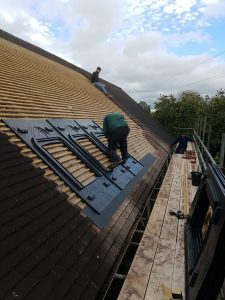 We have installed an in roof solar photovoltaic pack on a timber frame new build in Brilley. 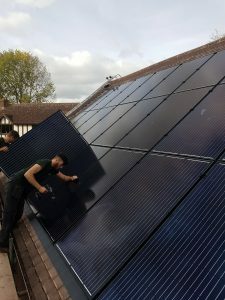 The solar is a fully optimized using solar edge technology and we have also installed a Mitsubishi Air Source Heat Pump with underfloor heating downstairs, radiators upstairs and bathrooms.